By LUDWIG VON KOOPA - Nintendo.com is now connected to your eShop balance. But there's a functionality loss. BUT NOW? IT'S ALL CHANGED. Makes sense, too. You want to make buying digital games as easy as possible with the new My Nintendo rewards program. You get GOLD COINS for buying digital games, which can be used to get more digital games. Into physical purchases instead? Too bad. You get nothing. That's how it's different than Club Nintendo. Want to buy Professor Layton vs. Phoenix Wright: Ace Attorney (and you should)? Well, Buy digital has a special big orange button. Buy physical? Only non-styled losers do that. It's a lamentable situation, but that's just how the industry has been trending. When KoopaTV gives you a Nintendo eShop code as a prize from your participation in the KoopaTV Loyalty Rewards Program (currently in off-season thanks to April starting screwed up), you can buy something right off your computer with it. Or from anywhere, really. Doesn't mean you can actually play it, but you can buy it or preload it with just that card. Then you get a kickback from our loyalty program to Nintendo's. You can also apply the My Nintendo Just For You offers to the www.nintendo.com purchases. Nintendo just improved KoopaTV's value proposition. What a great time to be a Nintendo-focused website. Can you do that on the other consoles? ...Oh. Yeah. You can. And for a while now. Well, whatever. Buy the second and third one, if you haven't bought 'em on sale yet. Avoid the first one. It's not worth it even if it's free, so it's not worth it 30% off, either. The site is smart enough, with its connectivity, to know if you have already downloaded the game. It'll let you download a game you have a physical copy of, though. (See the above screenshot of Professor Layton vs. Phoenix Wright: Ace Attorney.) That's just like the regular eShop if you accessed it from a Wii U or 3DS, though. Remember how I mentioned that, with the old system of www.nintendo.com, it gave you a download code after you made a purchase? That meant you could give the code to anyone you wanted, thus having gifting return from the good ol' Wii days. tl;dr: Download codes don't exist since it's been updated. No more gifting. There's SO MANY MII GAMES. I...I think some of these games are misclassified. I hope. 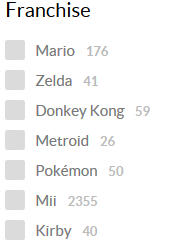 I mean, what's Toki Tori 2+ have to do with Metroid? One last thing before I'll close. 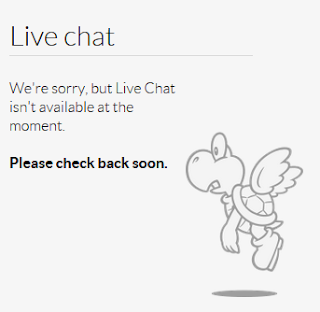 Nintendo's shop now has a Live Chat, but it was inoperable at the time of writing. They're blaming it on Koopas. A Paratroopa Live Chat? That's something KoopaTV should have! Should KoopaTV get a Paratroopa on staff to man a live chat? Would you use it? 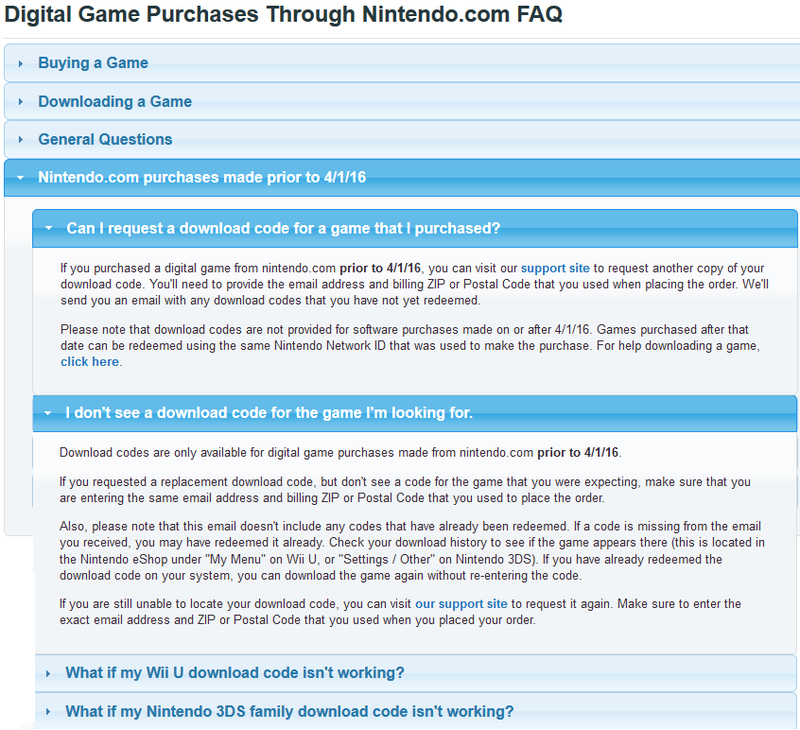 More importantly, will you use the newly revamped Nintendo.com digital game shopping experience? Does it address your needs, or are you wanting more? Does the loss of gifting download codes to your friends outweigh the benefits of finally having your account balance stay with you wherever you go? Note that this whole thing is different from the still-existing and still-separate Nintendo Online Store, which sells refurbished parts and sometimes games. 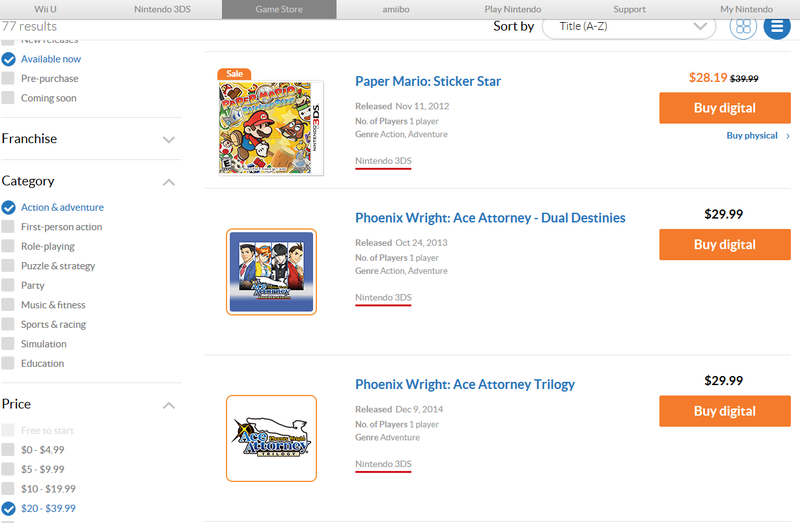 Now you can check Nintendo's site for sales to save your eShop budget, and buy right from there! We ask Nintendo if they will bring gifting back. Here's what they had to say. 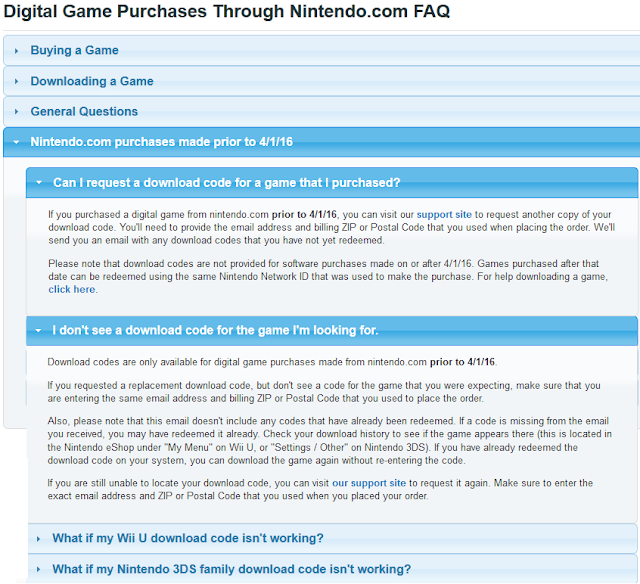 While download codes no longer exist from Nintendo's store, they still exist if individual developers will it to happen. There is a massive functionality GAIN, regarding the ability to buy M-rated games. Darn, so now the only gifting functionality is gone? Maybe they're going to replace it with a normal actually send-a-gift function? See, one of the great things about digital stuff is the ability to gift it without literally shipping a game to someone's address. ...NOW THAT WE DON'T HAVE THAT. If they intended for physical games to count for My Nintendo, they wouldn't have abolished Club Nintendo. You think they're really gonna start printing codes and slips of paper into everyone's game boxes if they can avoid it? Pretty sure they get a higher margin on digital stuff, too. Don't have to pay the retailer. I don't wanna be that guy who says how hopeless things are, but... yeah. I do hope we can get gifting back. Maybe have it so the person who buys the gift gets the My Nintendo coins. Unfortunately, physical copies are entirely shut off from Nintendo's new ecosystem.